The physical world that we live in is nothing more than an enormous ocean of energy that materializes and dematerializes within seconds repeatedly. Nothing in this world is solid and most people do not understand it. Think about your television; the cathode tube is a simple tube with a bunch of electrons smashing into the screen in a specific way. This makes the illusion of shape and movement, all objects are made in a similar way. Each of our senses has a specific range. This is why dogs and people see things differently and so forth with other animals.) Our senses perceive energy from a certain fixed point of view and that is how the images and form of perception are created in our minds. Not to say this is an exact explanation, it is more of an interpretation. Everything we see in this physical world began as an idea and continued to grow until it was materialized into a physical object. We literally become our most frequent thoughts. Your life becomes what it is imagined to be, within reason. The world could be considered your mirror if you really break things down. We are tissues and organs that are made of cells, those cells are made of molecules, those molecules are made of atoms, and those atoms are made of sub-atomic particles. 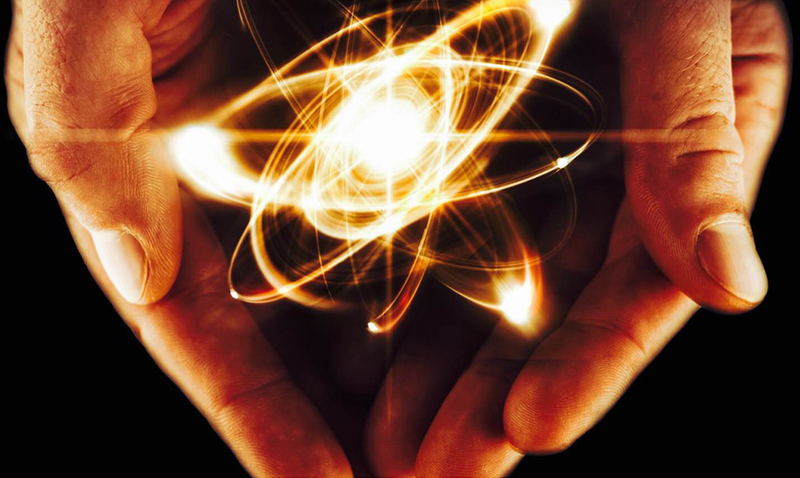 What makes a sub-atomic particle? Energy, we are energy! The body itself is an effect created by cause, that cause is thought. So many doors begin to open when you see the Universe for what it really is. The way we see things can and will change the way this world manifests itself for us. For more information on this please check out the video below.